OSLO, June 30 (Reuters) – Energy companies and trade unions in Norway began two-day wage talks on Thursday in a bid to avert a strike that would cut output from Europe’s largest oil producer by six percent, the Norwegian Oil and Gas Association (NOG) said. Unions are seeking pay increases in line with other industries while producers want workers to refrain from seeking such increases and to accept more flexible work practices citing still weak oil prices. Brent crude futures trading at about $50 per barrel are up from a January low under $30 but still well below 2014’s peak of $115. 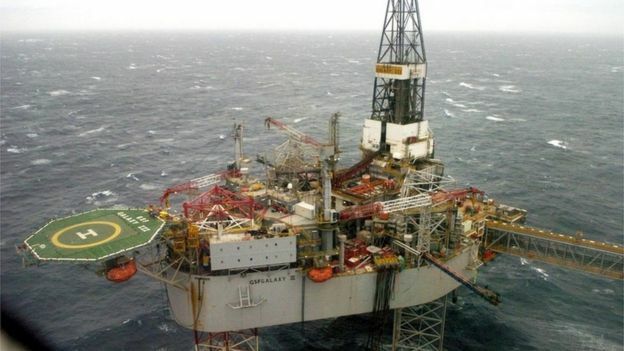 Oil and gas production at five offshore fields could be shut from July 2 if no compromise is found, NOG said, and the strike could spread subsequently. The five fields are ExxonMobil’s Balder, Ringhorne and Jotun, Engie’s Gjoea and Wintershall’s Vega. That would cut Norway’s output by 229,000 barrels of oil equivalents per day, said NOG, which negotiates on behalf of the energy firms. Hundreds of workers on eight oil platforms operated by Norway’s Statoil would also strike but output would be maintained, NOG said. State-mediated wage talks so far in 2016 have resulted in wage increases of around 2.4 percent. Union leaders said the talks would be difficult, but added they aim to come to an agreement with employers. “The main point of contention is that employers won’t accept a 2.4 percent framework,” Industri Energi union leader Leif Sande said in a statement. The mandatory state-mediated negotiations have a formal deadline at 2200 GMT on July 1, but typically run over by several hours. Therefore a strike could start as early as July 2. About 755 workers would go on strike initially, while a protracted conflict could eventually affect more than 7,400 workers, data from the mediator’s office showed. Rules governing labour disputes in Norway give the government the power to force an end to strikes under certain conditions, including when national interests are considered to be at stake. Thirty-seven pilots are at risk of losing their jobs at two leading North Sea helicopter firms. A total of 22 jobs in danger at CHC and another 15 are threatened at Bristow, all based in Aberdeen. CHC recently decided to stop flying Super Puma helicopters in the wake of a fatal crash in Norway. As many as 15 pilot jobs are at risk at Bristow Helicopters in Aberdeen, with CHC Helicopter also looking at making cuts. Bristow said it was proposing 15 redundancies, due to the “challenges the oil and gas industry is experiencing”. The British Airline Pilots’ Association said it had begun “urgent negotiations” with the company. CHC is also currently consulting on possible job losses. 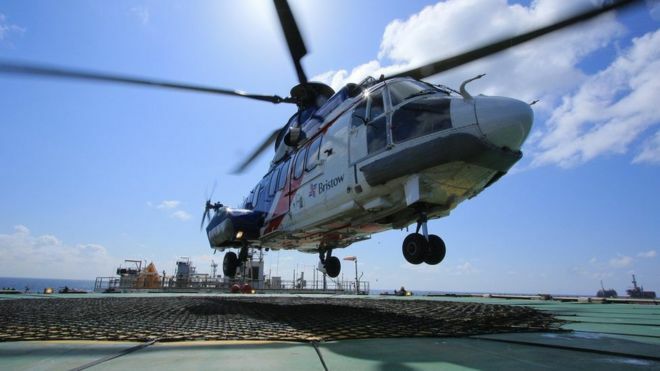 Bristow said in a statement: “As a result of the challenges the oil and gas industry is experiencing, the company has announced proposals involving 15 redundancies within our pilot group at Aberdeen. “We are consulting with our trade unions and employees over these proposals and will do everything we can to support our employees through this difficult process. A CHC spokeswoman said: “We are currently focussed on conducting a thorough and fair consultation, working with employees and unions, and supporting those who are affected. “The offshore industry continues to face challenging conditions and we, like many other businesses, are having to respond to the current environment. More than 1000 people affected by redundancies from the oil and gas sector have attended a free event in Aberdeen offering help and advice. The event at Robert Gordon University’s Garthdee Campus offered help both for those who have been made redundant and those at risk of losing their jobs. The team comprises of the head of lifelong learning, supported by regional learning managers, learning organisers and national coordinators. The number of jobs lost as a result of the downturn in the UK oil and gas sector could top 120,000 by the end of this year, according to a report. Oil & Gas UK estimated 84,000 jobs linked to the industry went in 2015, with 40,000 losses expected this year. It said the offshore industry supported 453,000 jobs at its 2014 peak – either directly, in its supply chain or in trades such as hotels and taxis. The new figures suggest 330,000 jobs would be supported by the end of 2016. The analysis was carried out by marketing services company Experian. Last week a Bank of Scotland/Lloyds Banking Group survey suggested that a third of UK oil and gas businesses planned to cut jobs further during this year. Many companies have been struggling under the weight of a sustained fall in the price of oil. Brent crude is currently trading at about $50 a barrel, less than half the price it was in 2014 when jobs linked to the sector peaked at over 450,000. Oil & Gas UK chief executive Deirdre Michie said: “The industry has been spending more than it is earning since the oil price slump towards the end of 2014. “This is not sustainable and companies have been faced with some very difficult decisions. “To survive, the industry has had no choice but to improve its performance. “It is looking to find efficiencies to restore competitiveness, to attract investment and stimulate activity in the North Sea. Oil & Gas UK is due to hold its annual conference in Aberdeen next week to consider how it manages its way through the current downturn. Ms Michie added: “The interventions we make now will be critical to shape the industry’s direction and help stem future losses. Tommy Campbell ,Unite the Union , who chairs the offshore coordinating group of trade unions, said a major summit was needed to plot the industry’s future. He added: “He need the main players around the table, and we have to remember that the cause of all this downturn isn’t just the global economy. A spokesman for the Scottish government said oil prices had been “recovering from their previous low levels” and there had been “some improvement in investor sentiment”, but acknowledged it was a “challenging time for the industry and the workforce”. Unite, Scotland’s largest union, will ballot more than 200 North Sea oil rig workers for strike action in a dispute with the Wood Group over a swingeing 30 per cent pay cut. The ballot, in conjunction with the GMB and RMT unions, will be sent to workers on eight of Shell’s North Sea oil and gas platforms. The dispute stems from the Wood Group’s proposal to cut pay up to 22 per cent, but once reductions to other allowances are added, this amounts to a cut of 30 per cent. A maintenance technician now earns 6.9 per cent less per offshore day due to changes to holiday pay. Recent changes have also seen workers move to a three-week working cycle. The ballot comes as oil prices have recovered to hit an eight-month high as Brent crude reached over $50 a barrel yesterday (7 June). The price of oil has nearly doubled since January, when it hit its lowest level since late 2003 when the price of a barrel dropped below $30. The ballot for strike action and also industrial action short of a strike will open on Wednesday (15 June) and close at noon on Wednesday 13 July, with any industrial action starting on 20 July. Wood Group is a multinational oil and gas services company with its headquarters in Aberdeen. The employees being balloted are working on the Shell ISC contract. Unite regional officer, John Boland said: “Unite members are not immune to the challenges facing the oil and gas industry. “We, along with other trade unions in the offshore coordinating group, have been leading the debate on the need to hold an emergency summit involving the Scottish and UK governments, employers and trade unions to deliver greater support for the sector. “However, due to the intransigence of the Wood Group which is seeking to impose pay cuts of up to 30 per cent, our members have been faced with no other option but to consider strike action. “We remain committed to constructive negotiations with the company and urge them to get back round the table, but they must be prepared to work with us to find an agreed settlement. On 27 May, talks over pay, proposed cuts and changes to working conditions by the Wood Group broke down. The dispute – raised under the OCA (Offshore Contractors’ Association) agreement – was confirmed after a meeting involving union representatives and Wood Group management. In March, nearly 95 per cent of union members voted in a consultative ballot in favour of proceeding to an industrial action ballot. Work offshore not yet a member of Unite? The actions of Les Linklater, Executive Director of Step Change in Safety, an organisation which states that its number one priority is the health and safety of offshore workers, voting to say he would fly in these helicopters is at best naive and irresponsible. We, the undersigned support Unite the Union`s call on Les Linklater, Executive Director for Step Change in safety, that he publicly retracts his unwelcome and unjustified comments and apologies to the many thousands of offshore workers and their families. Britain’s biggest union, Unite, has today (Friday 3 June) condemned the actions of four senior offshore helicopter safety and aviation chiefs as “offensive and dangerous”. Energy Voice reported yesterday (2 June) that – despite a pending investigation – Gilles Bruniaux, vice president of aviation safety for Airbus Helicopters; Gretchen Haskins, chief executive of HeliOffshore; Duncan Trapp, vice president of safety and quality for CHC Helicopters; and Les Linklater, Step Change in Safety executive director, all raised their hands to say they would fly on the H225 and consent to their children flying on the helicopters. European Aviation Safety Agency (EASA) directive said both H225 and AS332 (L2) variants should cease flying across Europe. The move followed the Accident Investigation Board Norway’s (AIBN) request as its preliminary report identified a “catastrophic failure” and signs of ‘fatigue’ in parts of the main gearbox which rendered early safety warnings “not effective”. The findings were published just hours after the safety and helicopter chiefs, in a publicity stunt, backed the H225s. The EASA move comes on the back of the fatal 29 April crash of a H225 (LN-OJF) on the coast of Norway in which 13 passengers and crew died. “Unite’s offshore members are disgusted at a publicity stunt by four senior offshore experts in voting with a show of hands to say that they would fly in the Super Puma 225s and also voting to say that they would allow their children to fly in these helicopters. It is grossly offensive and dangerous for any individual to say the safety of offshore workers can be guaranteed. “The actions of Les Linklater, executive director of Step Change in Safety, an organisation which states that its number one priority is the health and safety of offshore workers, voting to say he would fly in these helicopters beggars belief.